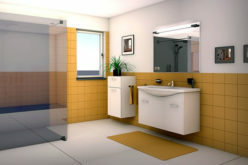 As expected, a full bathroom remodeling can have both a positive and a negative impact on your household. On one hand, you will get a new and efficient bathroom, be it porcelain or any other surface of your choosing, but at the same time you will spend a small fortune on it. To find out more about both sides of the “remodeling coin”, keep reading and check out the listed dos and don’ts of bathroom remodeling. 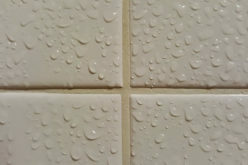 When doing a full bathroom remodeling, you get to choose the surfaces you will be stepping on. Also, you get to pick the sink, the toilet seat and the tub. Anything you like, and the things you’ve always wanted can now be a part of your bathroom. It’s time to get rid of all those annoying things you never liked and install only those you deem worthy of being inside your new bathroom. The best thing about bathroom remodeling, besides being able to choose everything, is the ability to set your own budget and spend as much as you want or can to get things done. You don’t have to go about spending thousands of dollars, when you can set a budget and look to spend it wisely. Some remodeling projects, such as replacing the toilet seat or the sink, or even the tiles on the bathroom floor, can be done without having to hire a professional. With a little help from the internet, you can easily find out how to replace a sink or a toilet seat, or how to install new tiles. You can do all the simple work yourself; however, if the work requires additional knowledge about plumbing or work around the pipes, you are better off consulting a professional. When doing it yourself, you have the complete freedom to do anything you like and design your bathroom the way you have imagined it. Whether you are going for that timeless look, or looking to get a modern bathroom within the limits of normal and affordable budgets, it is all up to you. Keep in mind that if you are going for a vintage or timeless look and finishes, you might want to consult a professional designer. If you lack information or ideas, there are several professional stores which you can visit for information on bathroom renovations. In any scenario where you don’t set your budget, bathroom remodeling is expensive as hell. 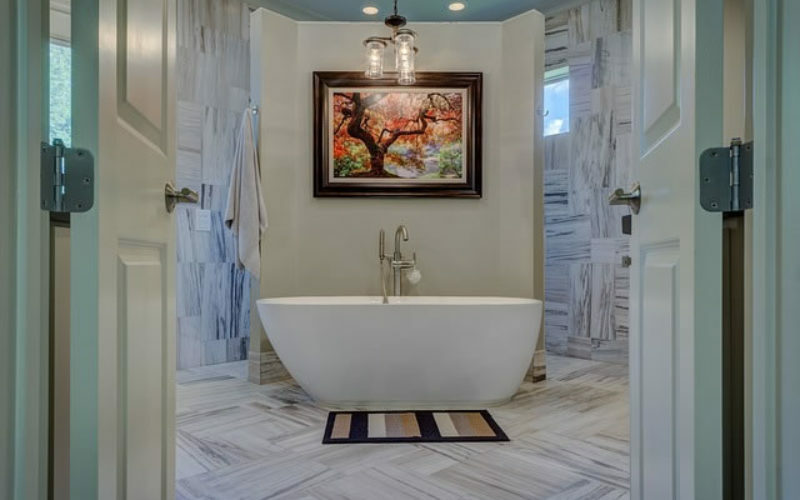 Purchasing a predesigned bathroom or hiring a professional designer to design one for you could cost as much as several thousand dollars, and even more. When embarking on bathroom remodeling, never purchase anything without first seeing it in person. This especially goes for online shopping. Many people have made the mistake of purchasing something online, only to find it does not fit into their bathroom, and is oversized most of the time. Measure your corners, and all the dimensions of your bathroom and go shopping for things that actually fit both physically and within your budget. 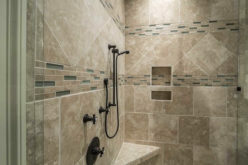 Following modern trends, many new bathrooms are equipped with several showerheads and additional body sprays which tend to spend more water than the usual shower. 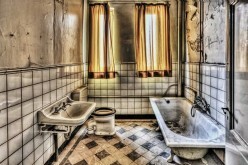 This is not eco-friendly, and you should check your state’s water regulations before opting for a modern shower. Apart from spending a lot of water, you will also have to upgrade your heaters and increase their capacity. Switching from a 50 gallon one to an 80 gallon one could cost anywhere from $1,000 to $2,500. Most of the time, when doing bathroom remodeling, we tend to overstep and make certain changes which we don’t actually need. Once inside this “remodeling” mood, people tend to go on a spending spree and literally waste money on things they don’t even need. Be smart and invest only in the things you need. Don’t waste your money on additional accessories which are available for an “extra low price”. 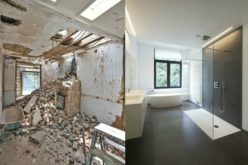 Now that we have listed the most important dos and don’ts of bathroom remodeling, you can choose whether you should do it or not, and how you should do it. 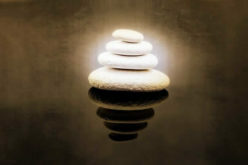 Our general advice is to take it slow, plan in advance and limit your budget.